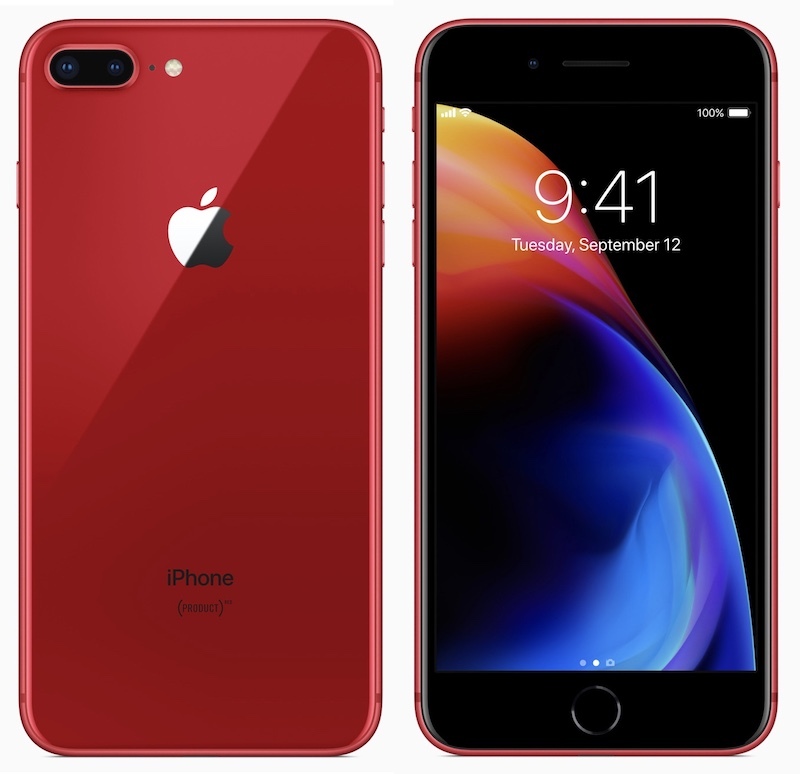 While the iPhone 8, iPhone 8 Plus and iPhone X have now been on sale for a good few months, Apple has today announced a refresh of at least some of that product line with the iPhone 8 family now available in an all-new (PRODUCT)RED color. Apple has a history of offering some of its products in a (PRODUCT)RED configuration, including the iPhone 7 and iPhone 7 Plus which saw new red color variants arrive in March of 2017. Unlike last year though, (PRODUCT)RED edition iPhone 8 and iPhone 8 Plus has been launched with shiny and vibrant red finish on the glass back with red aluminum shell frame, a silver Apple logo in center on the back, and finally, all-black front bezels. Expectations of a new color iPhone 8 and iPhone 8 Plus were piqued over the weekend when an internal Virgin Mobile memo leak suggested the phones would be added to inventory systems on April 9th. Apple has been a (PRODUCT)RED supporter for eleven years now and continues to back the campaign to support AIDS and HIV programs around the globe. With a portion of sales going towards the initiative the (PRODUCT)RED devices are much more than just a new color option for people to choose from at the point of purchase. The new (PRODUCT)RED iPhones are essentially the same as the devices already on offer, with the same configurations available bar that color including that impressive A11 bionic CPU beating at its heart. If you already own an iPhone 8 or iPhone 8 Plus in one of the existing colors then you are certainly not missing out. Unless of course you have an ongoing love for all things bright red! 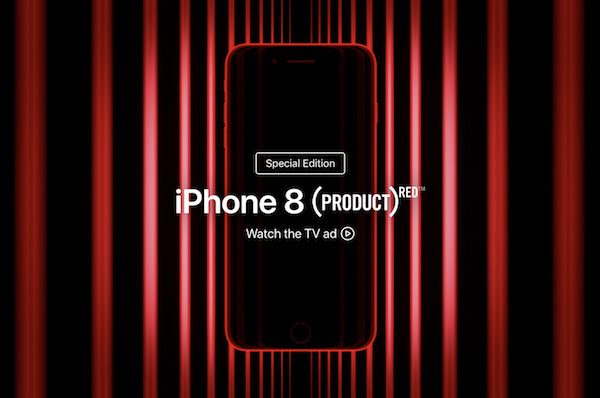 The new (PRODUCT)RED iPhone 8 and iPhone 8 Plus will be available to order from Apple starting Tuesday, April 10, after 5:30am Pacific Time, and will hit store shelves starting Friday, April 13 in the United States, Australia, Canada, China, France, Germany, Hong Kong, Japan, New Zealand, Singapore, South Korea, and the UK. Further availability in countries like Brazil, Denmark, Ireland, Italy, Malaysia, Mexico, the Netherlands, Norway, Russia, Saudi Arabia, Spain, Sweden, Switzerland, Taiwan, Thailand, the United Arab Emirates, and more will follow later in April, with Chile, Colombia, India, Israel, Turkey, and more countries following in May. 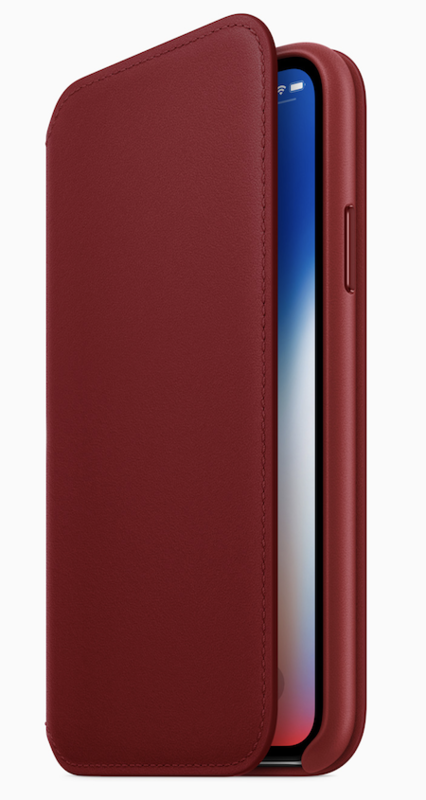 Alongside red iPhone 8 and iPhone 8 Plus, Apple has also introduced special (PRODUCT)RED edition Leather Folio Case for iPhone X which will be available in stores starting tomorrow. 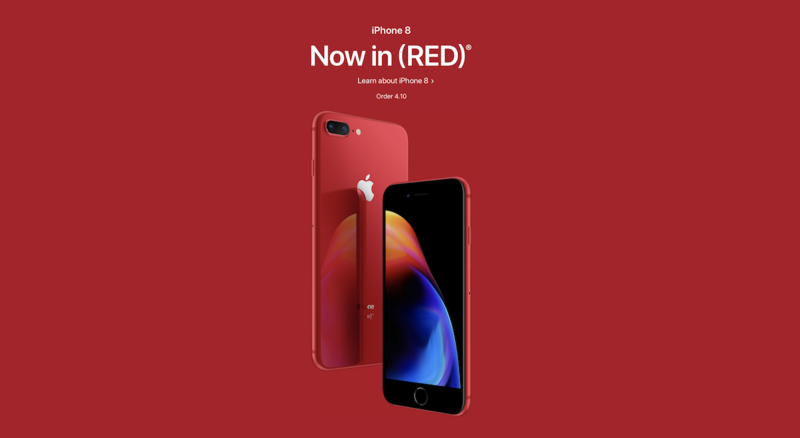 UPDATE x1: (PRODUCT)RED iPhone 8 and 8 Plus are now available for purchase. The black bezel looks WORLDS better than the white bezel on the red. Looks so much better with black front? they should launch that color choice together with the others. IPhone X would look stunning with this color. What’s the ppi on your HDTV? geez, it only took HOW MANY years for them to listen to their customers and offer it with the black front instead of the white, better late than never, good job Apple, THANK YOU! Irrelevant, i compared the Iphone 8 Plus next to my S8 and i can’t believe how crappy IP8 screen is. Motion blur, crappy colors, low PPI. The only improvement in screens for Apple was made with Iphone X. You didn’t. You probably did in your own mind and even if you did, not because something is better than something does not make it crappy especially how you can virtually not see any pixels on most, if not all smartphones these days. Results, not numbers. The PPI isn’t the main issue with the Iphone, it’s the washed out colors and motion blur. The screen is nearly identical to the one in Iphone 6. In this case i’m talking about Iphone 8 Plus which has a 1080p screen. The regular Iphone 8 which i referred to in my original comment sports barely over 720p screen resolution and its low PPI clearly shows when you browse websites or watch photos.